Owned by the Bologna family for several generations, the Tournels vineyard majestically dominates Pampelonne Bay from its 110 ha, at the feet of Camarat Lighthouse. 55 ha are grown and receive more than 3000 hours of sun per year. They are devoted to the trellised vines in order to get a perfect sunshine and obtain a high quality wine. 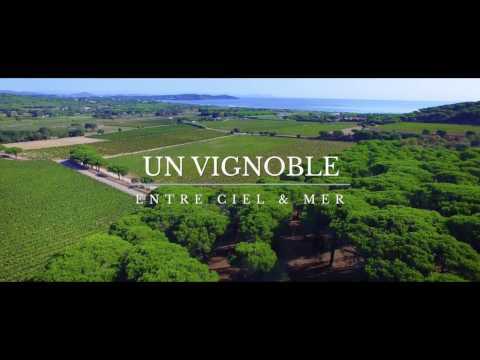 Under the sun of the village of Ramatuelle, our 110 ha vineyard benefits from a perfect place between sea and sky, at the feet of Camarat lighthouse. Our vines get the most of the sunshine thanks to their southern exposure. Dry winds from the Mediterranean sea protect the vineyard from moisturerelated diseases. All of these details provide ideal conditions in order to make typical good quality wines. Whether you choose our Côtes de Provence, country wines or our sparkling wines, we will be able to direct you to the perfect wine that will go perfectly with your desires and your dishes. Although Rosé wine is perfect to go with a large amount of food, we will inform you about the best food and wine associations.